The keyboard shortcuts are a welcomed addition as well. ReadKit has matured into a reading powerhouse for the Mac, and the app is definitely worth checking out if you use any of the following services: Instapaper, Pocket, Readability, Pinboard, Delicious, Feedly, Fever, NewsBlur, Feedbin, and Feed Wrangler. There’s also support for local RSS sync if that’s your thing. ReadKit costs $5 in the Mac App Store. 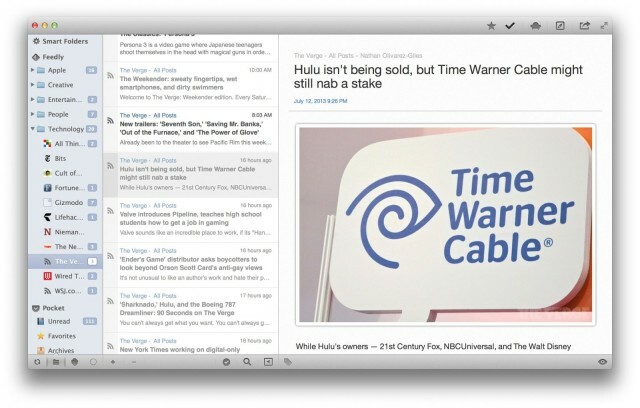 It’s my favorite way to use Feedly on the Mac now.